I am interested in 2 Bed 1 Bath 1973 Cascade. Please contact me for more information. 1973 mobile home on own lot 175'x200'. Town water and spectic, oil heat, electric hot water,double roof. Many upgrades 2001/02 New windows and doors. renovated master bedroom with french doors leading to new deck. Hardwood and other wood floors, second bedroom and full bath. 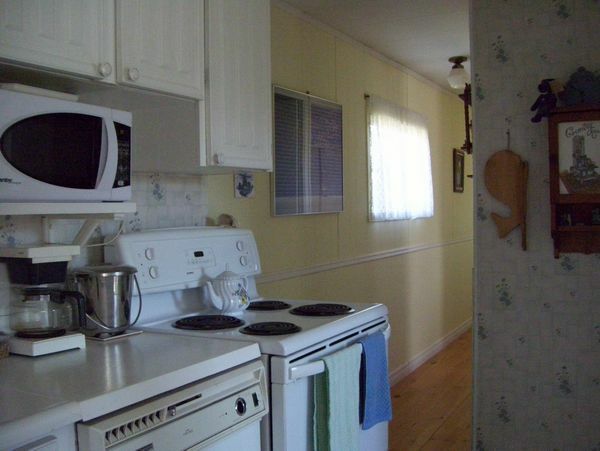 Includes 5 appliances plus microwave. Furnished or unfurnished.